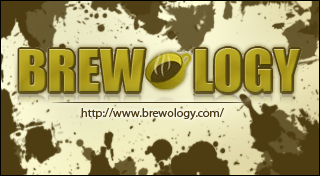 [PSVita] PSV VSH Menu v1.20 Released » Brewology - PS3 PSP WII XBOX - Homebrew News, Saved Games, Downloads, and More! joel16 has released PSV VSH Menu version 1.20 for the PSVita. As of version 2.0 and above you will require a dependency plugin to be always enabled. (a modified (lighter) version of kuio.skprx is provided. Kuio was originally developed by Rinnegatamante) — [Instructions are on the bottom of the README.md](https://github.com/joel16/PSV-VSH-Menu/blob/master/README.md). - Fixed empty config files with Cart/PSN games. This fixes the issue where things were not able to be modified under many games. - Fix clock states not being properly saved when clock state was the only thing modified. - Reload config when button combo is entered. - VITABattery’s fully integrated as a toggle. You can now toggle battery percent, hours remaining and temp. - Major src clean up. Download PSV VSH Menu from the Brewology PSVita Store.